Given the violent times we live in, imagine the perils of a love story that involves the country's Defence Minister and the daughter of a separatist leader. It sounds inconceivable. And that is exactly the myth the young Defence Minister Vihaan strives to demolish in his journeys to Kashmir, where leaders do not like to visit a state that meets them with open distrust and hostility. However, Vihaan is fearless and set upon the mission to resolve the problems in Kashmir. 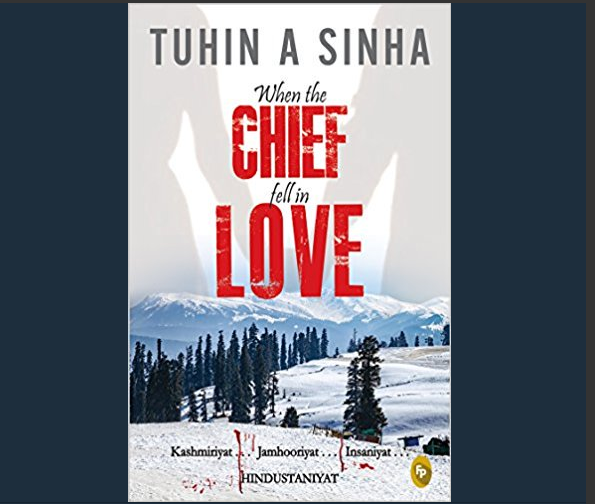 The most engaging aspect of Tuhin A. Sinha's intriguing love story is its depiction of Kashmir and the struggles of its people. The shifting cultural and political allegiances of a violence-struck state is explored deftly through this passionate love story. What marks out When the Chief Fell in Love as an enticing read is its concern not just with the forbidden love between two married individuals - but also with the more disturbing aspects of human behaviour in a state marked by terrorist attacks - the simmering anger and the perceived injustice and the very candid conversations between the Defence Minister and the Prime Minister on sensitive issues that you and I would probably not be able to imagine. Zaira's characterisation is bold and beautiful. Her thoughts and emotions are well-articulated. Her intelligent, problem-solving approach shines through in the conversations that she holds with others including Vihaan. "As a daughter of Kashmir, I swear....India has not let you down.... Those you trusted in Kashmir are the ones who have failed you....."
If you liked reading this book review, go buy the book and experience a rare political love story unfold. The book has been published by Fingerprint! Publishing, an imprint of Prakash Books. @MagicEye: Glad you enjoyed the book review. Do let me know how you found the book.